The largest ever Lotto Jackpot in Ireland of €18.9 million was won by a syndicate at Morrissey’s Quarry in Carlow on June 28th 2008. Lotto is one of the games run by the Irish National Lottery. Other games include EuroMillions, and Daily Million. 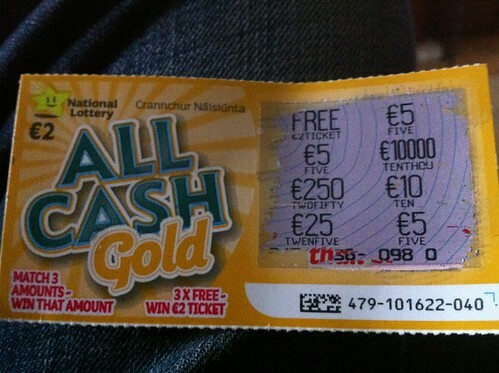 The Irish National Lottery also sells a wide range of scratch cards and runs televised bingo and game shows. 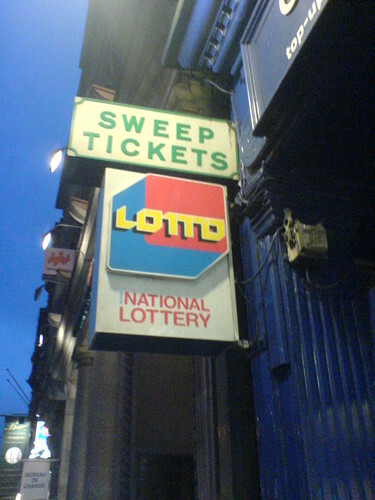 The Irish National Lottery was established under the National Lottery Act, 1986. It is the state lottery of Republic of Ireland. In 1930 the Irish Government established a lottery called the Irish Hospital Sweepstake. The aim was to provide funds for investment in hospitals and medical services. The Sweepstake ran for 56 years and raised millions for Ireland’s health infrastructure. When the Irish Sweepstake was established it was the only legal sweepstake in the world. By the 1960’s lotteries had begun to be legalised in the United States. This led to a decline in the sale of tickets for the Irish Sweepstake. The final Sweepstake prize draw was held in 1986, the same year the Irish National Lottery was established. The National Lottery was established to help fund sport and recreation, health and welfare, national heritage and the arts, the Irish language, and the natural environment. In November 2014 the Irish Government awarded a twenty year licence to Premier Lotteries Ireland to operate the National Lottery. The government will receive over €400 million for the licence, some of which will go towards the building of the new National Children’s Hospital in Dublin. The lottery now processes over four million sales and prize payments each week. It is reported that over 2 million Irish people play National Lottery games each week. The Irish National Lottery was launched in the year 1987 On This Day. Sean O’Brien is a Rugby Union player from Tullow, Co Carlow, Ireland. Regarded as one of the most effective back row players in the game, he first played for the Ireland senior team in November 2007. For his speed, powerful runs, ability to carry the ball, counter rucking and defensive tackling, O’Brien has come to be known as the ‘Tullow Tank’. Sean Kevin O’Brien was born in Tullow, County Carlow in February 1987. 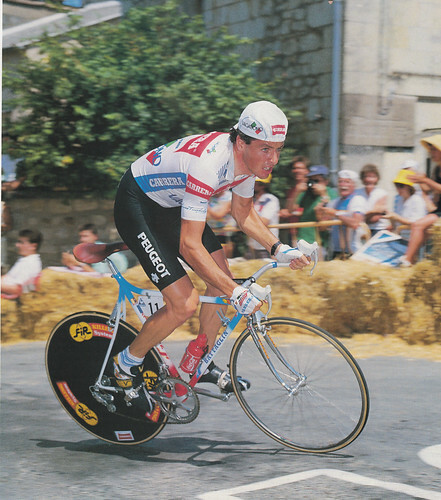 He was educated at Tullow Community School and UCD (University College Dublin). Having played with Tullow Rugby Club and Irish Youths, O’Brien was awarded a Leinster Academy contract in 2005/06. He was a member of the Ireland Under-20 team which won the 2007 Grand Slam. In 2008 O’Brien made his debut for his home province, Leinster in the Celtic league against Cardiff Blues. In December of the same year he played his first game in the Heineken Cup against French side Castres. He was a member of the Leinster team which beat Northampton Saints to win the Heineken Cup in 2011. He has since made 98 appearances for his province. He continues to play for Leinster and signed a three year contract with the Province in December 2015. Sean O’Brien made his first appearance for the Ireland team in the Autumn Tests of 2009 when he came on as a substitute first against Fiji on November 21st. A week later he also came on as a substitute against South Africa. He made his first appearance in the Six Nations Championships in 2010, again coming on as a substitute against Italy. 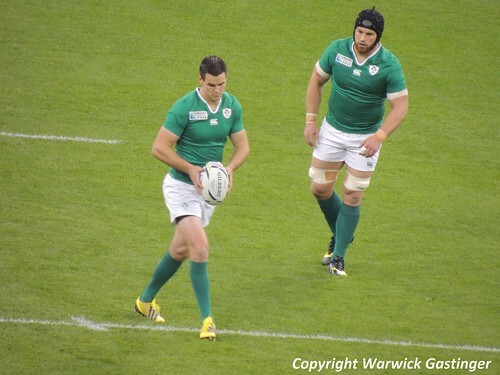 In the Six nation Championships of 2011 O’Brien started every game for Ireland and was awarded Man of the Match for his performance against Italy. For the 2011 World Cup O’Brien travelled to New Zealand as part of the Irish Squad. He played in all of Ireland’s six World Cup games and started against Australia, Russia, Italy and Wales. In 2013 he was selected to tour Australia with the British and Irish Lions squad. The Lions won the test series and O’Brien played in both the second and third test matches. O’Brien was a member of the Ireland team which successfully retained the Six-Nation championship in 2015. In the 2015 Rugby World Cup O’Brien was awarded man-of-the-match for his performance against France. Sean O’Brien was born in the year 1987 On This Day. In the reception area of RTE (Radió Telifís Éireann) television studios there stands a bronze, larger than life statue of famous broadcaster Éamonn Andrews. During his lifetime Andrews became a highly successful broadcaster in both Ireland and Great Britain. He was voted Television Personality of the Year on four occasions and a stamp in his honour was issued by An Post in 1994. He was created a Papal Knight of St Gregory by Pope Paul VI in 1964 and appointed honorary CBE by Queen Elizabeth II in 1970. Eamonn Andrews was born on Synge Street, Dublin on December 19th 1922 and was educated at Synge Street CBS (Christian Brothers School). He joined a local boxing club and in 1944 he became Ireland’s Junior Middleweight Boxing Champion. After he finished school he worked briefly in and insurance office before joining RTE as a sports commentator in 1946. In 1950 Éamonn Andrews began working for BBC radio as a sports reporter and later as quiz master. A few years later he began his television broadcasting career as chairman of the panel game ‘What’s My Line?’ which was broadcast weekly. Though the programme was a success he became best known as presenter of ‘This Is Your Life’, a biography show which was originally devised in America. The programme, which was viewed by millions, was broadcast from 1955 to 1964 and again following its revival from 1969 until Éamonn Andrews died in November 1987. He also presented children’s programmes. Éamonn Andrews was appointed chairman of the Radio Éireann Authority, now the RTÉ Authority, by the government in 1960. During his time as chairman from 1960 to 1964 the Authority oversaw the successful introduction a RTÉ television. He also became involved in the entertainment industry in Ireland. Andrews joined ITV in 1964 where, among other things, he successfully presented a late night chat show called The Éamonn Andrews Show. He returned to the BBC in 1969. Eamonn Andrews died aged 64 in the year 1987 On This Day. Dentist John O’Grady was kidnapped in 1987 by Dessie O’Hare and three other INLA members. O’Hare had formerly been a member of the IRA. The gang’s intended target was the dentist’s father-in-law Professor Dr Austin Darragh. The kidnappers demanded a ransom of £1.5 million for the release of John O’Grady. The ordeal for Dr O’Grady and his family began when the gang broke into their home, Manor House, in Cabinteely, Co Dublin and abducted Dr O’Grady. He was held captive for 23 days while his abductors demanded the ransom. When the ransom demands were not met O’Hare used a hammer and chisel to cut the little finger form each of O’Grady’s hands. He then sent the severed fingers to the Cathedral of the Assumption in Carlow town. The ransom was never paid. The abduction was followed by a huge Garda search. The kidnappers kept moving their victim to different locations during his three week ordeal. They initially held their captive in a basement in Dublin City but later moved him to Cork. By the time the Gardaí raided the location in Cork the kidnap gang had already moved their captive back to Dublin. Dr O’Grady was finally freed when the Gardaí raided a house in Cabra in north Dublin. His kidnappers escaped but were captured later and O’Hare was sentenced to forty years in prison. Dr O’Grady died in September 2016. The kidnapping of Dr John O’Grady took place in the year 1987 On This Day.